We know this makes a lot of people sad. 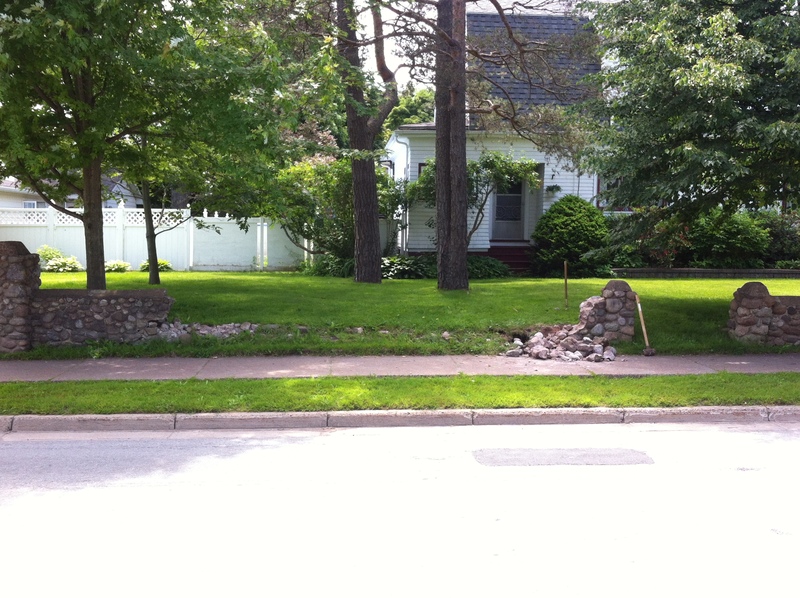 During the past two days, D’Arcy and the boys have been tackling a job that we’ve put off since 2009 – our stone wall. On Easter Sunday of 2009, when he turned the corner to go to church, D’Arcy discovered that part of the small section of our stone wall had washed away in heavy rain and part of it had fallen. (Story and photos here.) At the time, he cleaned it up as best and as safely as he could, saving all the stones – in our garden – with the plan to rebuild. The wall is part of the house’s history. It soon became apparent that rebuilding wouldn’t be as simple as we had hoped. The wall, 105 years old at that time (111 now), was not built on a foundation and the mortar has turned to sand over the years. 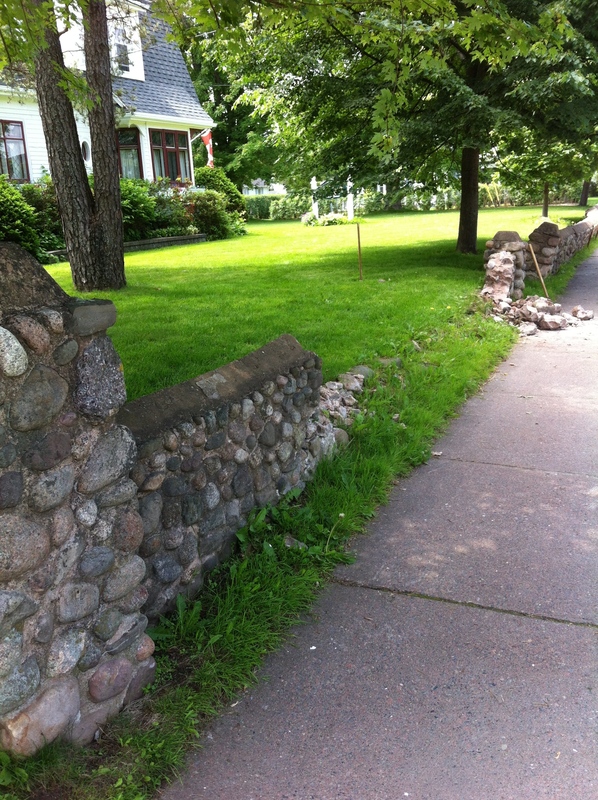 The long part of the wall has shifted as well, and half of it is leaning sharply towards the sidewalk. Last summer, we had hoped to get the entire wall fixed, so had professionals come and give us quotes. We’re looking at a price range of $20,000. For a wall. A wall that’s beautiful and sentimental but, sadly, not a necessity. We have four children to put through university. D’Arcy & the boys spent the past two days taking down the short section of the wall that originally started to fall six years ago. 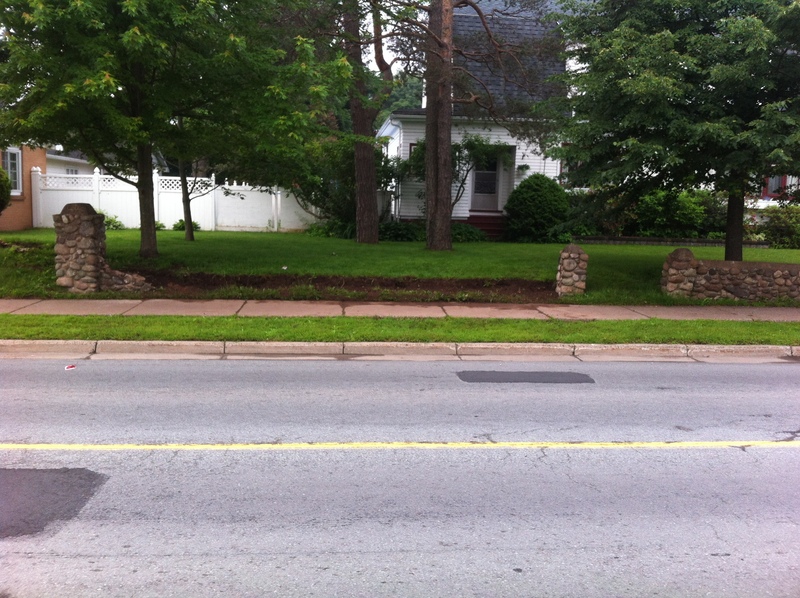 They were able to save the posts, and D’Arcy graded the lawn to the sidewalk. We have planted raspberry bushes in between the posts, with the intention that they will become a hedge that gives back. 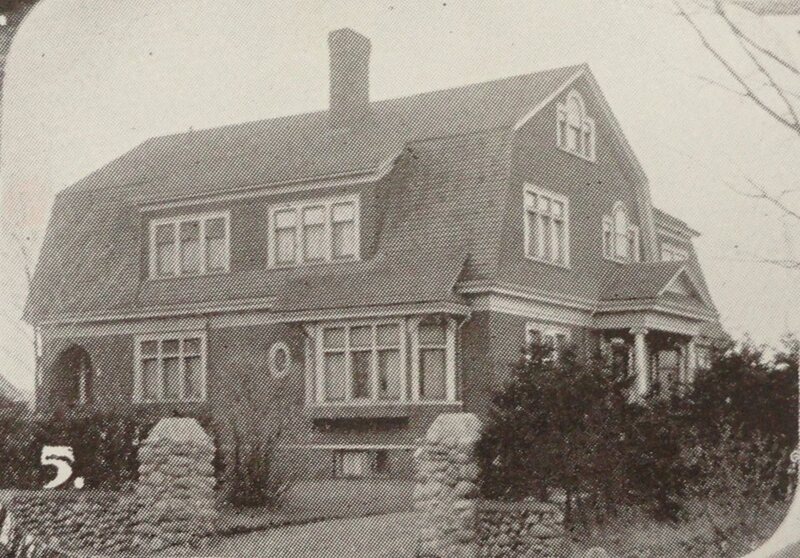 We have a picture of the house from 1916 and there was originally a hedge behind the wall, so putting this one in is like returning a different piece of history of the property. As for the long section? D’Arcy is marking provincial exams for the next two weeks, so there won’t be any work done on it until later in the month. He has an idea to try to stabilize it, but if it doesn’t work, that section will have to come down for safety reasons as well – we hate the thought of having someone sit on it, or a child climb on it, and get hurt. What was left of the short section of wall when they started to take it down. 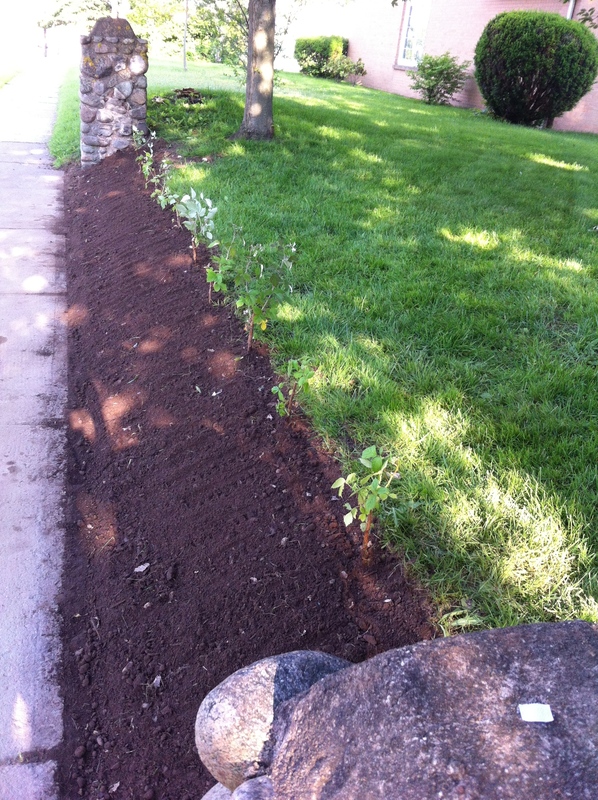 Raspberry bushes are planted; sod arrives tonight. Happy to have been able to save the pillars at least. Stoneycroft, now Belgravia, 1916. Note the driveway used to come in off Prince Street (the address was 416 Prince Street at that time) and the hedge behind the wall. Thank you Colchester Historical Society for the photo. This morning around the breakfast table, we were dealing with gluten-free and egg-free diets, as well as no cheese for another guest. We tried two new recipes, both which were successful. Since I posted the photo on our Facebook page, I’ve had requests for the recipes, and also from the guests, so thought we’d post them here for easy access. Combine the following dry ingredients, then add to the wet mixture and stir until moist. Do not over-mix. 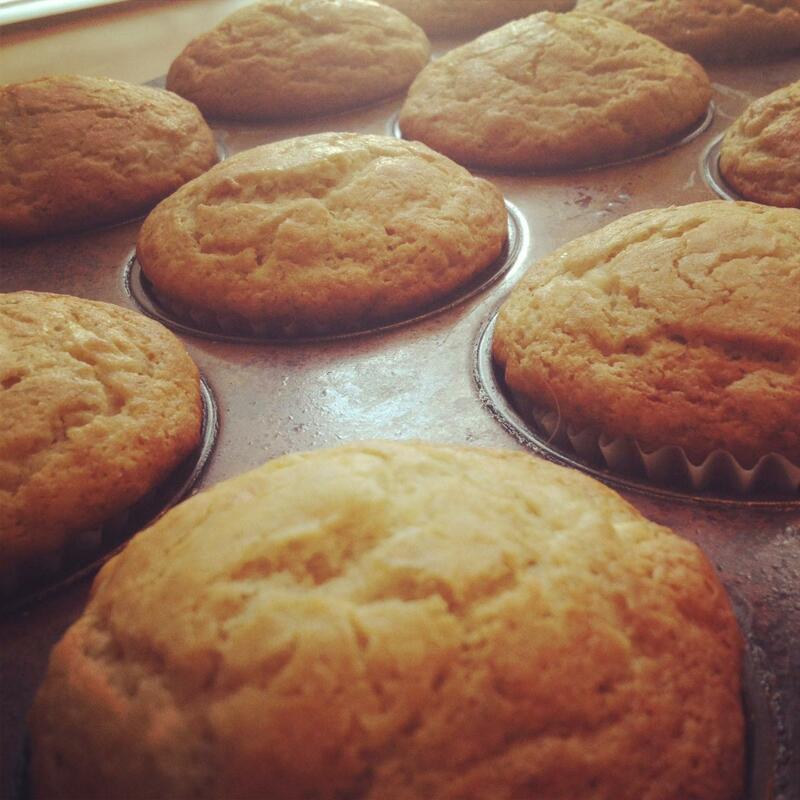 Line muffin tins with papers, divide batter between 12 muffin cups, and bake in 350*F oven for 20 – 22 minutes. As you can see from above, these recipes are also soy-free. However, the flour we used (Bob’s Redmill) is processed in a factory that uses soy and tree-nuts, so we consider these recipes both “unsafe” for our daughter. If we used a different flour, they would be safe. Please let us know how they turn out for you! We will definitely serve both of these recipes again! 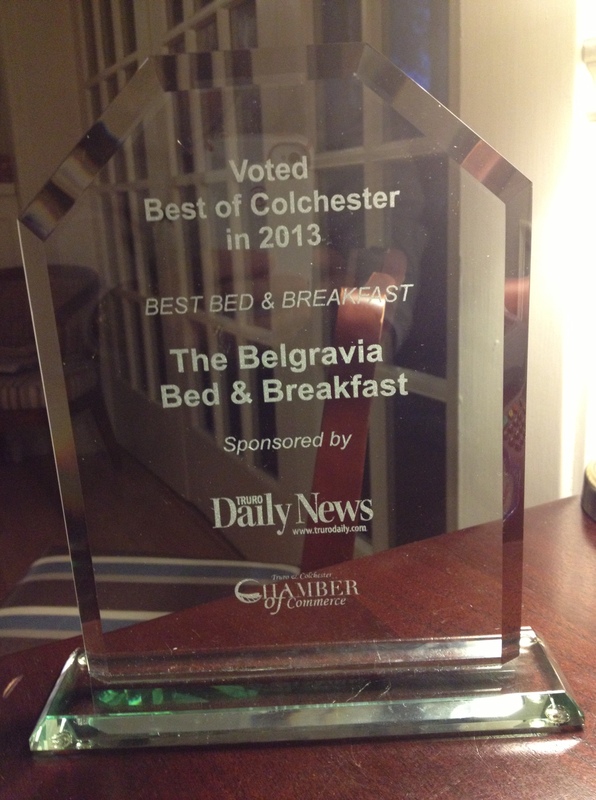 Best B&B in Colchester for the fourth time! 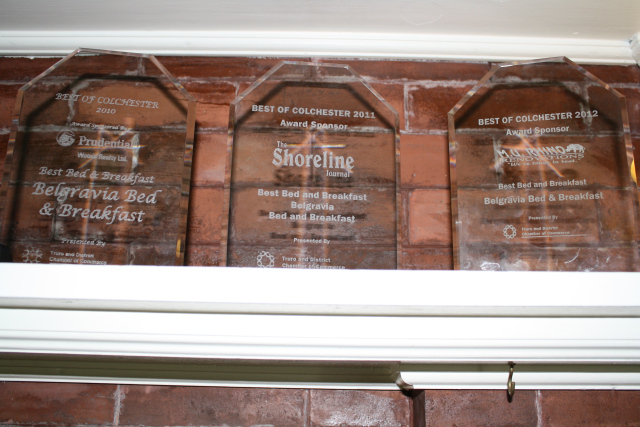 WE WON BEST BED & BREAKFAST IN COLCHESTER for the fourth year in a row last night! Yippee! Really? It never gets old. We are so grateful for the support we have from our new guests, returning guests, friends, family, and colleagues. We honestly feel so fortunate that we have so many great quality B&B’s in Colchester County and we all work so well together. When you are surrounded by great quality, it sets the bar high. Since this week has been Tourism Week in Canada, I put in a plug when we accepted our award and reminded the 250+ people in attendance that “Tourism is everybody’s business.” We support local businesses as much as possible and we send our guests to local businesses. Our guests visit local attractions and restaurants, but also fill up with gas at our gas stations, buy medications at our pharmacies, and pack their coolers at our grocery stores. Each and every interaction they have at these businesses forms their opinion of what Nova Scotians are really like. We were thrilled to receive this award for the 4th year in a row and would like to thank everyone who took the time to vote for us. It means so much!! 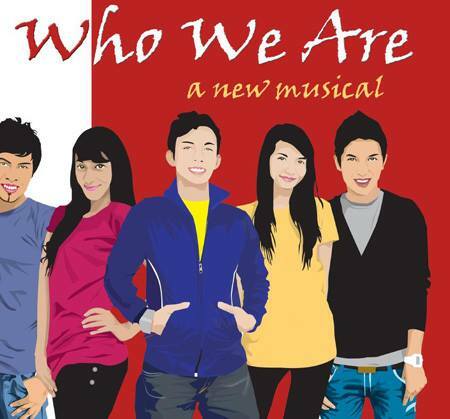 You can see the complete list of winners by clicking on this sentence. Proof! Thank you to all who voted!! We think it’s beautiful! What a nice surprise to open our email this morning and find the following notice and press release. Thank you to all of our guests who take the time to write reviews for us! We appreciate each and every one! 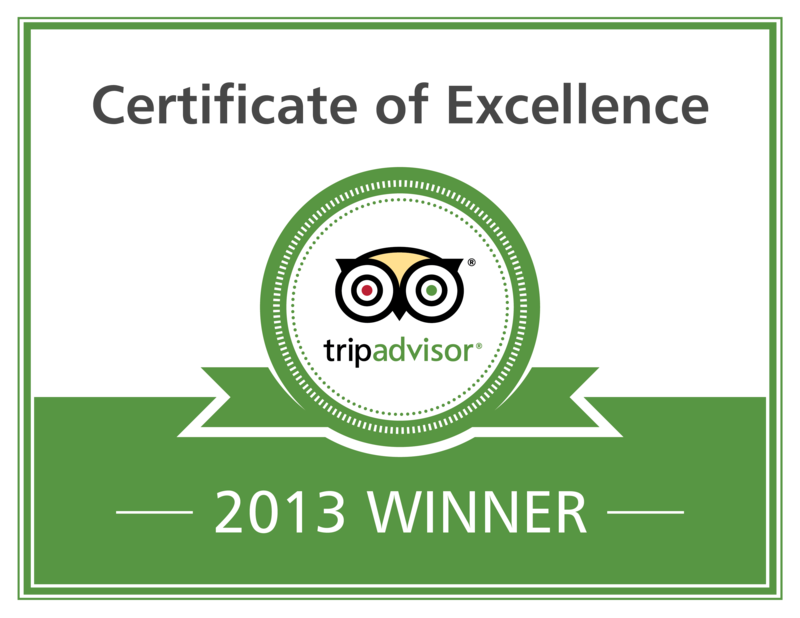 TRURO, NOVA SCOTIA – 22/05/2013 – Belgravia Bed & Breakfast today announced that it has received a TripAdvisor® Certificate of Excellence award. The accolade, which honors hospitality excellence, is given only to establishments that consistently achieve outstanding traveler reviews on TripAdvisor, and is extended to qualifying businesses worldwide. Only the top-performing 10 percent of businesses listed on TripAdvisor receive this prestigious award. In order to do this, we need your votes – it doesn’t take long and you don’t need to register. You just need to click on the link to the Truro Colchester Chamber of Commerce and type “Belgravia“ as Best Bed & Breakfast. You can do this up to five times per IP address (computer or device). You do not need to vote in each category, but if you’ve been in the area and enjoyed a certain restaurant, shop, or other business, please take a moment and vote for them as well! We strive to be the best at what we do, offering clean, comfortable, up-to-date accommodations, and abundant fresh, local, healthy food at breakfast. We pride ourselves on providing authentic maritime hospitality and recognize that we have tough competition! Thank you for your votes – it really means so much to us! The more things stay the same, the more they change? D’Arcy & I are both teachers. He teaches in the public school system and I am faculty in the School of Business at the Nova Scotia Community College. When we began our B&B ten years ago (I can’t believe we’re at the beginning of our 11th season!!) D’Arcy commuted to Halifax during the school year as a permanent teacher with the Halifax School Board. I was a “work-at-home” mom, and running the B&B was my full time job. Back in 2003, my dad had just retired from his career with Lafarge, and my mother was still teaching primary. My dad has been involved with our B&B from the very beginning, as has Lori, who helps out on Mondays and Thursdays. D’Arcy made the leap in 2006 and started working at a school in our local school board that was half the distance of his commute to Halifax. (One hour drive from Truro – Halifax.) He worked at that same school for five years, and earned a permanent position in the local school board. Wanting to be rid of the daily commute all together, two years ago he was able to secure a position at a school just a five minute drive from home. At the time, I was working at the Truro campus of the college, which is located just 1km from our home; an easy walk. Last year at this time, my term position at Truro Campus ended and he got caught up in the cuts that the local school board were forced to make. Because he has a permanent contract, he is guaranteed a job, we just weren’t sure where in the Board which runs from Amherst to Pictou, and as far South as Elmsdale. As it turned out, he was placed in a position at a school in Pictou County, about a 45 minute drive from our home. Shortly after, a continuing full-time position came available that I was qualified for at Pictou campus, and since I knew D’Arcy was driving that way anyway, I applied for it and won the competition. 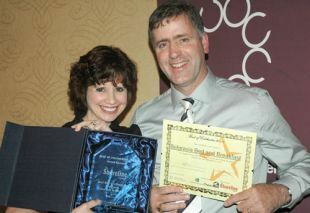 So, long story short, we have both been teaching in Pictou County this year and have loved it. We hired our neighbour, Ruthanne, this Fall to help out with breakfasts and cleaning on school days, and my dad still loves to come and welcome guests at arrival and chat over breakfast, helping to plan itineraries. D’Arcy & I enjoy making the 45-minute commute together daily; (“Best carpool ever!”) having the time in the car together to talk without any other distractions, and we are both really happy at our respective schools. We weren’t sure what this year’s round of hiring in the public school system would bring, but on Friday we received the wonderful news that D’Arcy has been hired for next year in a position at his same school and will now be attached to that school. For the first time in ten years, we know where we’ll both be for the foreseeable future. The school where he works is actually a school that is growing in numbers (many of our rural schools have declining populations) so his position should be secure even if there are future cuts. Stability – a new concept in the McDonah household! People have been asking if we will sell our home & business and relocate to Pictou County. The answer is no. We love our home and our business and love the community we have in Truro. I grew up here. My parents still live here. Our children are settled in great schools, involved in so many activities, and have wonderful friends. D’Arcy’s brother and his family live on the other corner of our street. Although it is expensive to drive, at least we are commuting together and can remain a one-vehicle family for now. Will we still operate our B&B? Absolutely! 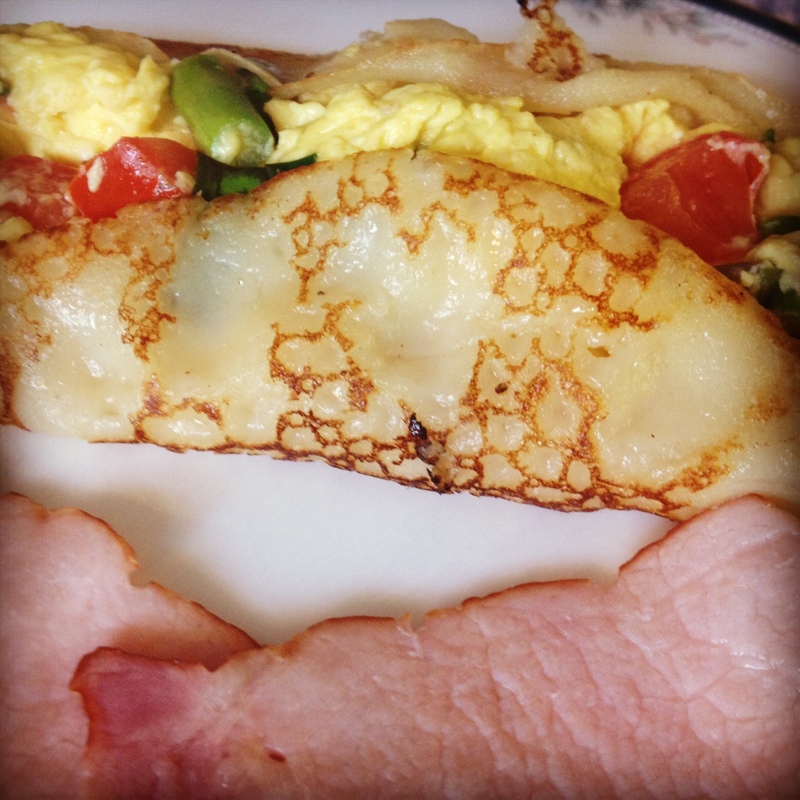 A reason our bed & breakfast has been so successful is because we love what we do. We really love welcoming guests from around the world into our home and getting to know them. We love to show-off our beautiful province to people, whether it is the first or tenth time they’ve been here. We love discovering connections and making relationships with people. Most of all, we’re proud to be a local business that supports the local economy in our community. We will have to look at how things might change. We have already stopped hosting events such as weddings and parties, and no longer cater private lunches and dinners. Perhaps we’ll eventually turn into a more seasonal operation… These changes remain to be seen after we have some discussion this summer. What we do know for now is that we are open for business and in full swing for the 2013 tourist season already. Our weekends in May are filling up and summer reservations are coming in steadily. It’s shaping up to be a great year and our whole team – myself, D’Arcy, Dave, Deanna, Lori, Ruthanne, and the kids – looks forward to welcoming many familiar faces, and meeting new friends this summer! Belgravia Bed and Breakfast website.